Unlikely as it may seem, hot peppers are a rich source of vitamin C. According to the USDA Nutrient Database, hot peppers contain more vitamin C than an orange (per 100g serving). Besides vitamin C, they are a good source of vitamin B6, involved in several metabolic processes; and betacarotene, which is converted into vitamin A that functions as antioxidant and contributes to the health of epithelial tissues. 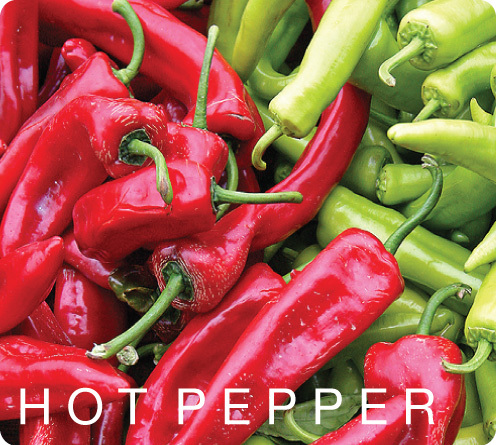 Capsaicin, the component that gives them their heat, aids in the respiratory system as it acts as a great decongestant, stimulates secretions that help clear mucus, and prevents sinus infections. Capsaicin also has pain-relieving effects and fights inflammation. Capsaicin found in hot peppers has been proven to terminate prostate cancer cell replication.